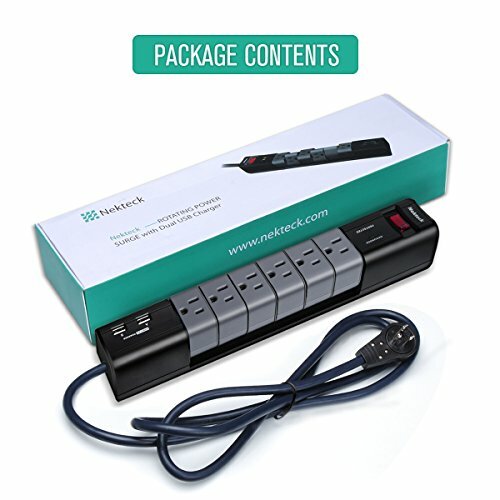 Protect your devices from power surges with the Nekteck Rotating-Plug Power Surge Protector! 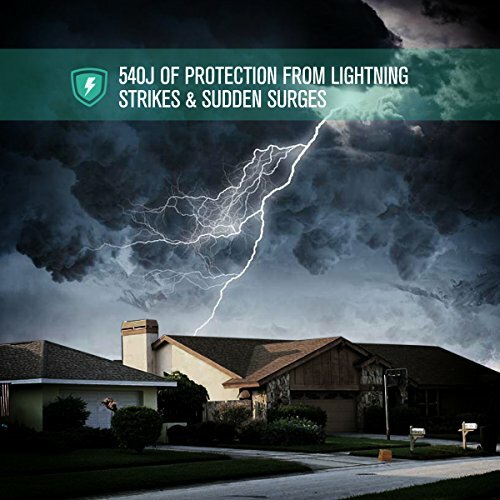 It has 540 joule energy rating that provides standard protection for your electronic devices from sudden surges an lightning strikes. 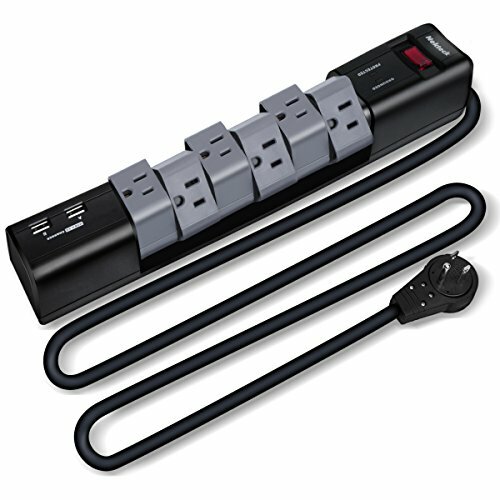 It has 6 surge-protected AC outlets, 2 built-in USB ports that provides 2.4A maximum output and ON/OFF switch. It has built-in IC with supercharge technology that smartly detects your device to deliver its fastest possible charge speed. The USB port can charge Apple and Android phones and other USB devices. 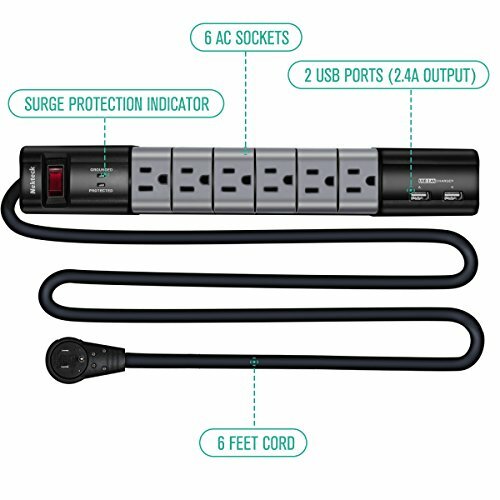 The Nekteck Power Surge Protector is smartly-designed for your convenience! 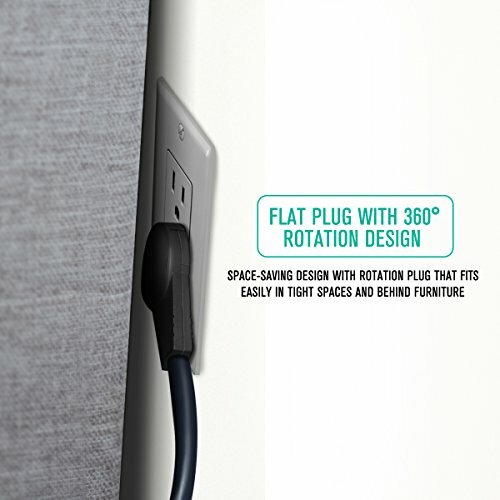 The AC outlets' unique 90°/180° rotating design makes plugging your devices easy! While the 360° rotating main plug is designed to fit easily in tight spaces and behind furniture. What a smart idea! Plug everything in at once with just one touch of a switch! This is perfect at home or at work. It makes your power and charging experience faster and easier! 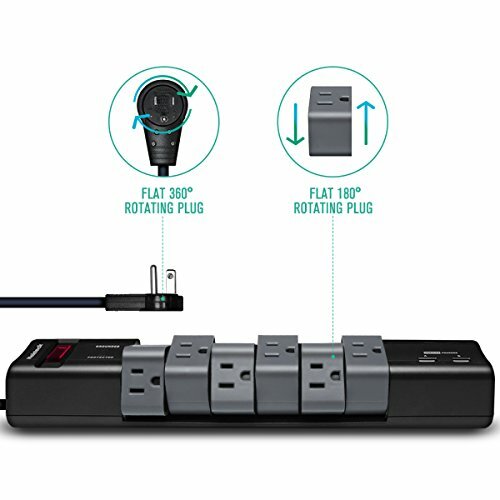 MULTI-OUTLET FUNCTION: The Nekteck Rotating-Plug Power Surge Protector 6 ft Cord has 6 x 90°/180° rotating AC outlets and 2 built-in USB ports that provide 2.4A maximum output. You can now plug up to 6 devices at a time. 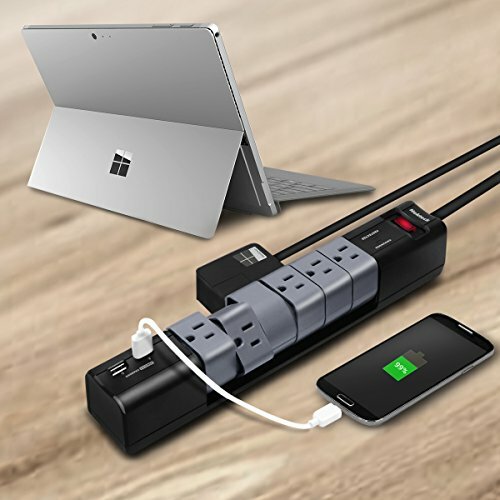 A great solution to keeping your devices powered on! UNIQUE AND SPACE-SAVING DESIGN: Make plugging in easy and convenient! The AC outlets' unique 90°/180° rotating design gives added flexibility so you have enough space to place your application. PLUS, its flat 360° rotating main plug is designed to fit easily in tight spaces and behind furniture. 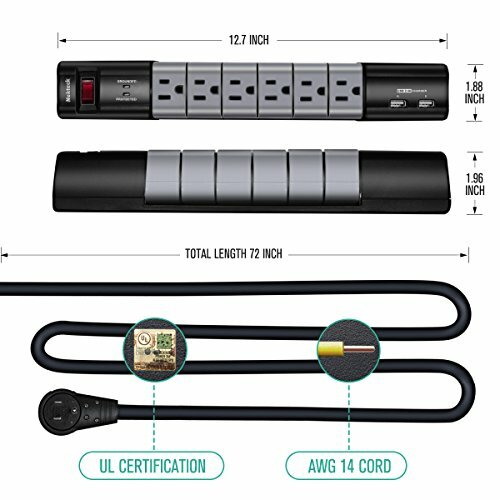 The surge protection indicator ensures that your devices are plugged safely.